As per IRDAI (Insurance Regulatory and Development Authority of India) e-Insurance Regulations 2016, new insurance policies should be issued in electronic mode from 1 October 2016 based on certain criteria. Even renewal of insurance policies has to be done in electronic mode. 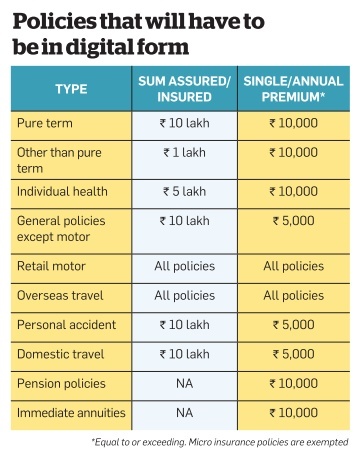 With such mandatory regulations coming from IRDAI, now one needs to open e-insurance account.